Robot Gains #GoogleAssistant Voice Control with #AdafruitIO and #IFTTT « Adafruit Industries – Makers, hackers, artists, designers and engineers! IgorF2 has been working on building a Wi-Fi controlled robotic tank. In the first iteration of this project, he used a ESP8266 and controlled it from his smartphone using the Blynk app. While this was fun, it wasn’t enough. 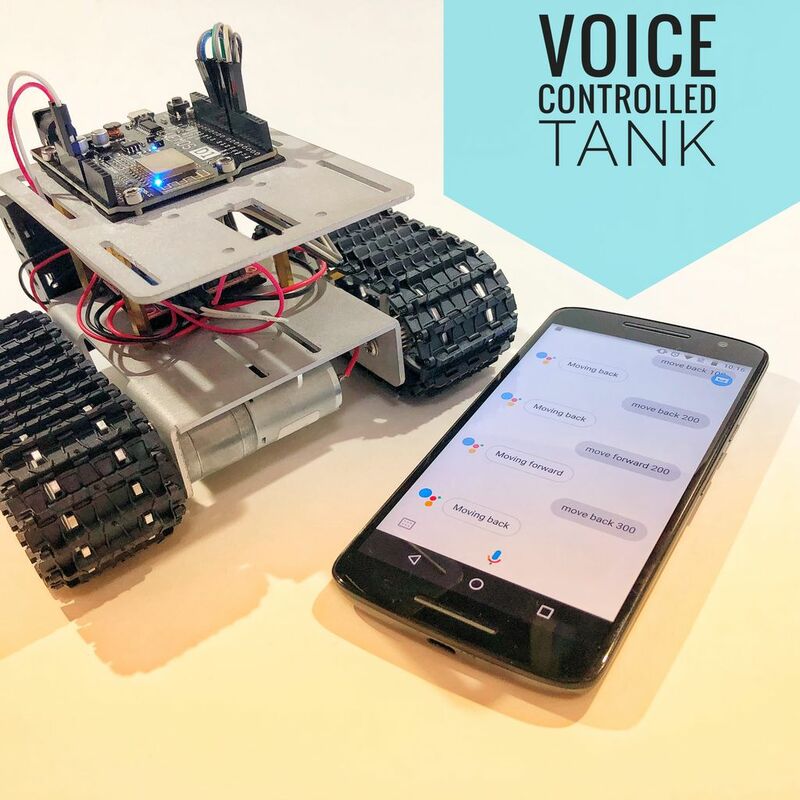 IgorF2 recently published a revision of this project to utilize voice commands since he felt “it might be useful if you want to remotely control a robot without using your hands, or if you want to made it accessible for someone with limited movements”. His guide details the process of interfacing Adafruit IO with IFTTT and Google Assistant to an already-existing project to create a voice controlled robot. How would you implement voice control in your projects? Let us know in the comments!